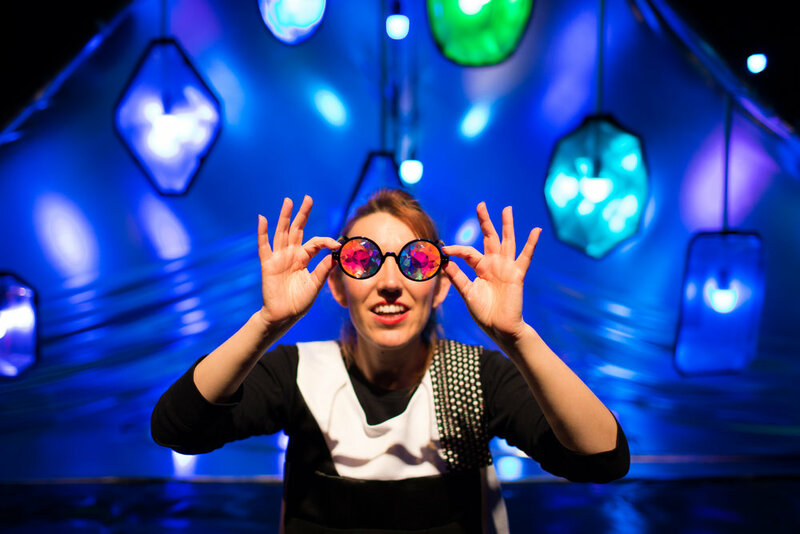 Kaleidoscope is Filskit Theatre’s first piece for babies. 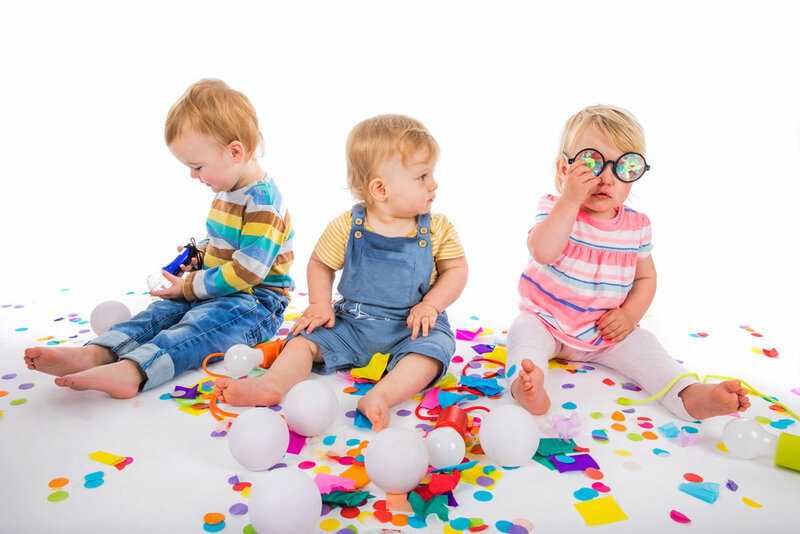 Using their unique blend of gentle, playful performance, sound and lighting, babies and their grown ups are invited in to join us as we discover the multicoloured world of Kaleidoscope. This piece has been made in response to the latest research by the University of Sussex Baby Lab about how babies ‘colour in the world’, with mentoring support from renowned Director, Sarah Argent. Standard price: £5.50 for children and £7.50 for adults. Please note adults and children, including babes in arms will each require a paid tickets. Running Time: 25 mins plus 15 mins playtime after the show. 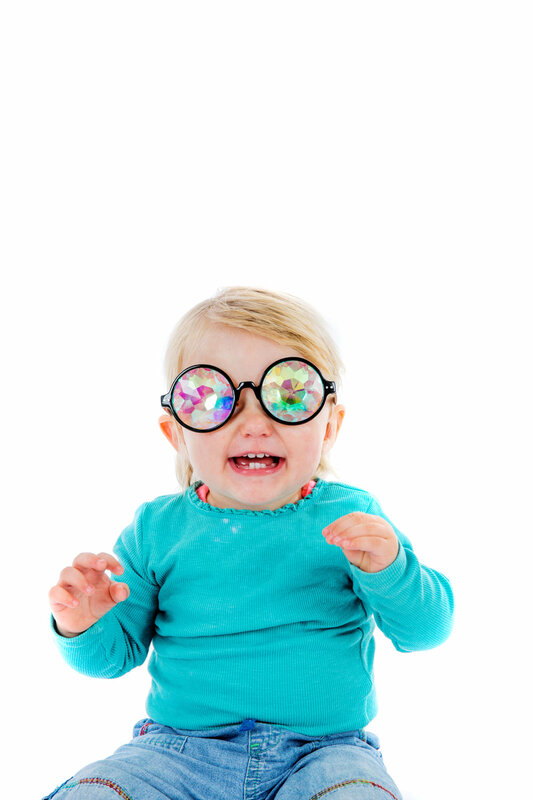 We know how difficult it is to get little ones ready. As we’re running 3-4 shows a day it’s really important that we start on time. We’d really appreciate it if you could try and arrive in plenty of time and we’ll have a space for early birds to sit in the cafe beforehand. Filskit is a Shetland word meaning “highly spirited, mischievous and excitable”. 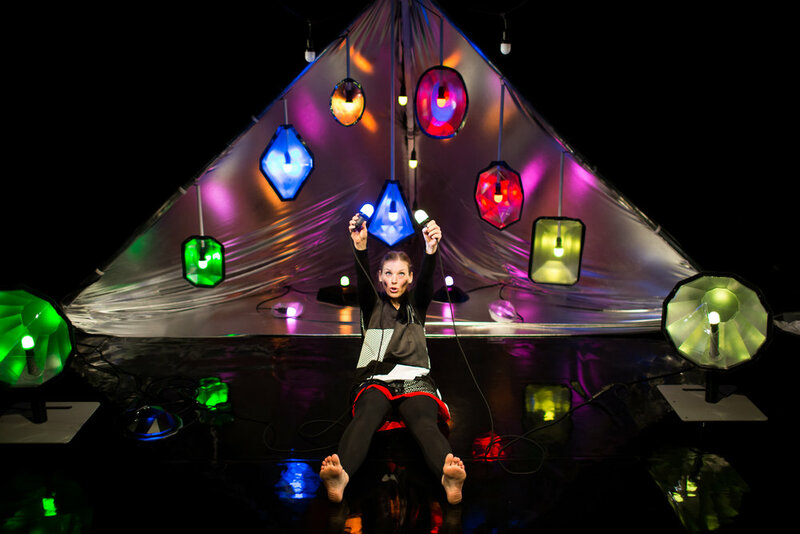 Filskit Theatre is a trio of ladies with a passion for performance and projection. We strive to create work that ignites the imaginations of young audiences and their families. With original music, wordless performances, shadows and magical lights, we create our very own Filskit blend of a show. At the heart of our work is our interest in technology and how it can be used to help immerse young audiences in the world of a story. We work with lighting, projection and puppetry to create a visual language that is both engaging and accessible. We place our young audiences at the centre of our devising process and strive to explore themes and issues that are relevant to them. As a touring company we have taken our unique blend of theatre to children and their families in arts venues, schools and festivals across London, the South East and beyond. Our past shows include ‘The Feather Catcher’, ‘Breaking The Ice’, a co-production with the Unicorn Theatre and ‘Bright Sparks’. Filskit Theatre are Associate Artists of Stratford Circus, The Egg and The Point.